ESRREC is seeking volunteers from the region — experience with pet rabbits is a plus, but not a requirement. Shelter cleanup in Rock Hall: We have two shifts per day to clean the cages, provide fresh food and water, and give play time/cuddle time for the rabbits. The shelter is small, with usually no more than 11-12 rabbits. We teach you how to follow the checklist, and once you have enough experience under our supervision we will give you the access code for the door. Young people under the age of 16 who want to volunteer are welcome to team up with a parent. We can certify for community service hours. Whether you take a shift once a month or once a week, every shift helps! Outreach Events: We have opportunities to raise awareness in the community, or to even raise a little extra cash. At these events we usually set up a table with ESRREC information including photos of our adoptable rabbits. We have a donation jar and sell Maryland bunny magnets. Enthusiastic volunteers are needed to talk to the public about what we do. Foster Homes: We have to turn away rabbits when the shelter is at capacity and we don’t have enough foster homes. By taking in a rabbit temporarily, you can help us meet the needs of the eastern shore’s abandoned pet rabbits. The foster contract specifies a limited term. Foster families are obligated to coordinate with ESRREC when adopters are interested in the rabbits. Gardening: We have several large pots and window boxes at the shelter that could be used to grow fresh herbs for the rabbits. Or grow your own and bring the veggies & herbs to us! Nail trimming: Rabbits need their nails trimmed every 2-3 months. This is a specialized skill that most pet groomers don’t offer. The vet will charge about $12-$13 per rabbit to trim nails. If you are able to do this service for us, we will save a lot of money that can be better used for other needs at the shelter! We’d also like to offer this service to local pet owners as a fundraiser for ESRREC on a periodic basis. Transportation: Rabbit-savvy vets are hard to find in our region, and we rely on two in particular — one is in Harford County and the other is in Easton. With both at considerable distances, we desperately need people who can drive ESRREC rabbits to their appointments. You don’t have to pay the medical costs, we settle that directly. We only ask for your time and to cover your own gasoline and tolls. Fundraising: We welcome all extra hands and fresh ideas for raising more money. We are a 501(c)(3) nonprofit and registered with Maryland for charitable solicitation. We rely on donations! If interested in any of the above, please complete our online volunteer form or contact us at info@esrec.org.  Copyright © 2019 Eastern Shore Rabbit Rescue and Education Center. Powered by WordPress. Theme: Accelerate by ThemeGrill.